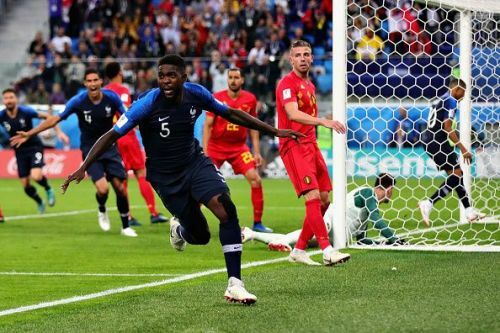 A relatively young French team has made it to the final of the 2018 FIFA World Cup. This is their first final appearance since the famous 2006 edition when French great Zinadene Zidane made headlines for the right and wrong reasons. He scored France's only goal of the match, a cheeky dinked penalty that bounced off the bar before crossing the line. On the night, the match finished 1-1 in normal time with Zidane eventually sent off for head-butting Marco Materazzi. That French squad had all the qualities and perfect blend of experience required to perform at the highest level. Fast forward to 2018 and we see a more youthful and energetic group of players who are unshaken by the endless possibilities of success. France manager Didier Deshamps, a World Cup winner himself, knows all about performing at the highest level. He started a project a couple of years ago to give the young players a chance to express themselves on the field. In the last two years, Deshamps has reignited the proud French name that has been tainted severely since the turn of the 21st century. In the 2002 World Cup, the French were shocked 1-0 by debutants Senegal en-route to their group stage exit. In 2009, France controversially qualified to the 2010 Word Cup largely thanks to Thierry Henry's blatant handball in the lead up to their winning goal against Ireland. In that tournament, Les Blues were also eliminated in the group stages and lost 2-1 to minnows South Africa. Deshamps' project burst into life when France hosted the European Championships in 2016. He selected a young squad, but guided them to the final. France eventually lost to Cristiano Ronaldo's Portugal. On Sunday, France line up to face a very experienced Croatia side, who have gone through extra time in their last three matches. These three players are set to make a significant contribution to the final and are certain starters if injury-free. Kante is not your typical flashy player with a big name to match. He is the type of player who silently puts in his shift for France while his forward teammates grab the attention. Kante will start Sunday's final alongside Paul Pogba and will be tasked with doing what he does best, intercept. The highly defensive minded midfielder was instrumental in keeping the likes of Lionel Messi at bay as France eliminated Argentina in the last 16. Kante is set to marshal the midfield area and contain the forward runs of Croatia's most important player, Luka Modric. 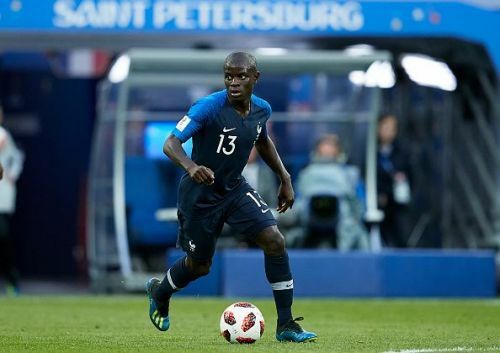 Kante has played all of France's matches and recovered a whopping 58 balls. He has also completed 317 out of 351 passes. His performance on Sunday will be pivotal, especially when stopping Croatia from getting any offensive momentum and this will give France the much needed boost to perform.